Addiction therapy with horses? Sounds a little crazy, but this form of therapy is tried and tested; a massive hit in the US, it is now making waves in Europe, as pioneer Don Lavender introduces the revolutionary treatment to the Camino Recovery Centre in Southern Spain. Horse healing or Equine Assisted Psychotherapy (EAP), is a ground-breaking treatment to beat addiction, and it works. So what is it? EAP is an emerging field of experiential therapy in which horses are used as a tool to assist clients in addiction treatment centres to gain personal insight in boundaries and relationships for their own emotional growth and learning. Don Lavender BA., M.Div. is renowned for his Equine Assisted Psychotherapy work, which he helped to pioneer and develop in US treatment centres some 20 years ago. Now the Programme Director at Camino Recovery Centre, he has introduced the treatment to Europe at the Camino Recovery Centre, near Malaga. How does Horse Therapy or EAP work? 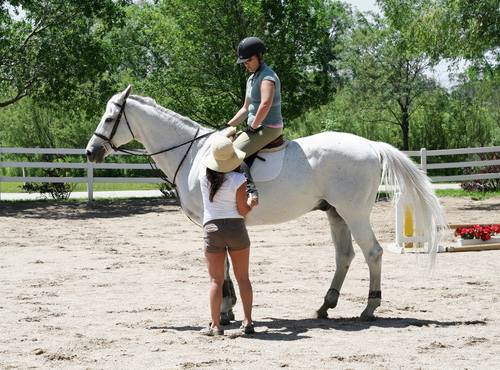 EAP involves teaching people to work with horses in a way that serves as a tool for emotional growth and learning. Not just about riding them; it uses human interaction with horses, horse professionals and psychotherapists, to help speed up the recovery from various addictions or traumas. Horses, like humans, are social animals that also have personalities and moods. Horses have the ability to reflect physical as well as emotional states in people because they can and will respond to human body language. For more information on the Camino Recovery Centre and EAP please contact [email protected] with any questions or call us on +34 951 107 195.